Why Slip Rings Are Locomotives of Electromechanical Industry? slip ring is an electromechanical device, which is used to transfer electrical signals, raw power or data over a rotating part from a stationary part or vice versa. The stationary part is known as stator while the rotatory part is known as rotor. A slip ring is made up of circular metal ring and uses a carbon brush, which rubs over the rotating or the stationary part to transfer current. The position of stator and rotor can be interchanged according to the operational environment. The carbon brush that is used is usually a graphite brush subjected to wear and tear throughout its life and needs to be replaced from time to time for smooth function and efficient operation. Before the invention of slip rings, the electromechanical industry had been suffering from the limitation of wires in transfer of current and allowing rotation simultaneously. The wires either get dangles or displaced from their mean position while operation dues to vibrations is caused by rotating shaft, which often results in complete breakdown of the machine itself. 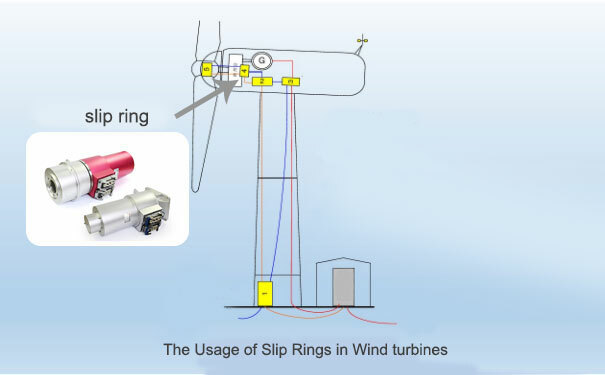 The materialization of idea of slip ring solved the problem in one go. In other words, it can be said that a slip ring is locomotive of electromechanical industry, and we need to know how this locomotive keeps the industry dynamic. Slip rings, owing to its simple construction mechanism and easy availability of the materials needed for its construction, has flooded the market. Its construction can be done in heavy factories as well as in small cottage industries. A slip ring can also be called as summation of its three main parts, namely stator, rotor and the brush. 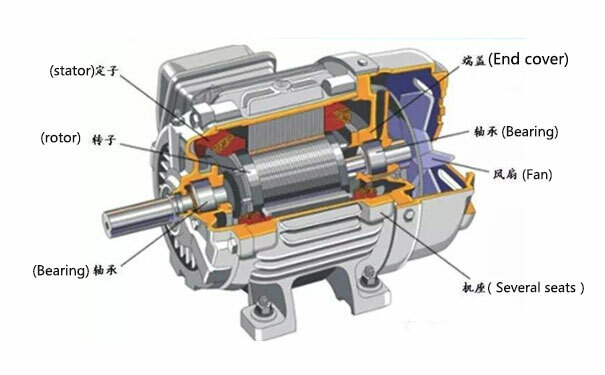 As said above, the position of stator and rotor can be interchanged to fit the operation. These main parts have joints in between them, which enables their replacement a simple task without replacing the whole slip ring itself. Added to this, its assembly and disassembly also doesn't require complex tools. All these extend a slip ring's life and reduces the input cost. slip ring technology not only replaces the complex network of wires used earlier, but also allows the user to choose a custom design, fitting best for his/her use. The basic design of slip ring has made it a 'red hot pig iron' which can be given any shape. With mere replacement of its brushes, a slip ring can be made to work in complicated machines and different types of environment. A user can choose from a pool of slip rings, which not only opens the door for its usage in complex machines, but also gives better output than traditional slip rings. A mercury slip ring uses a pool of mercury metal as the conducting medium instead of carbon brushes. Mercury, being a liquid metal at room temperature, has its own advantages. Unlike the carbon brushes, mercury needs almost no replacement over the life of slip ring. It also generates no heat and noise while operation, making it suitable to use in harsh and sensitive environments. This is one, but there are many varieties of slip rings easily available, offering a wide range of custom solutions. The pancake slip rings solve the problem of space, while the through bore slip rings allows the rotating shaft to pass through it. All these facts are more than enough to conclude that slip rings are 'locomotives' of the electromechanical industry.